With HBO’s Game of Thrones Season 3 rounding up for another year, George R.R Martin has been doing quite a few interviews and while he has vowed never to speculate exactly on a release date for The Winds of Winter, he has hinted at a time frame when we might expect it to be published. A few notes first: I’ve included links to all the sources so that you can decide on your own whether these conclusions are accurate or farfetched. Please be warned that the following may contain spoilers, particularly when revealing which characters appear in The Winds of Winter and thus also revealing those who have survived the previous books. In an interview with Conan, George R.R. Martin said, “My great fear is that David [Benioff] and Dan [Weiss] will catch up with me,” referring to the Game of Thrones television writers. It seems likely that they will catch up with Martin, given the time between publication. It took Martin 6 years to publish A Dance with Dragons after the release of A Feast for Crows. But how long will we have to wait for The Winds of Winter? According to an interview with The Guardian in 2011, Martin said that he predicted, “it’s going to take me three years to finish the next one at a good pace.” So say he was right in his estimation, and together what he told O Globo, we may be looking at a late 2014/2015 release of The Winds of Winter. Who knows when A Dream of Spring, the final book, will be published. Obviously because there may be people reading this article who have not finished reading A Dance with Dragons, I won’t reveal some of hints for the plot because it would reveal some of the events that occurred in the previous books. There’s a few more details on the AWOIAF wiki page for The Winds of Winter. 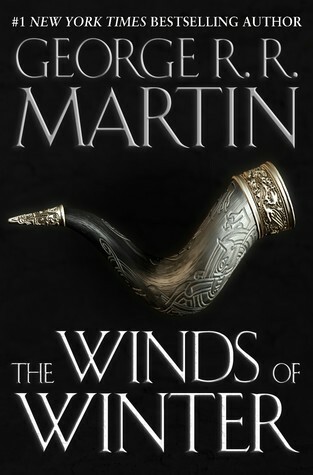 Posted on June 6, 2013, in Book News and tagged a dance with dragons, a dream of spring, a feast for crows, a song of ice and fire, aeron greyjoy, arianne martell, arya, arya stark, barristan selmy, books, dan weiss, david benioff, game of thrones, george r r martin, literature, reading, sansa stark, starks, the winds of winter, theon greyjoy, tyrion lannister, victarion greyjoy. Bookmark the permalink. 7 Comments.